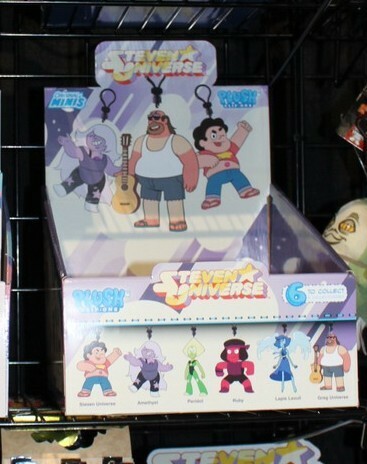 Looks like these clip on keychains came from a Toy Fair last yearl There are the usual characters, you know, the Crystal Gems Steven, Amethyst, Peridot, Ruby, and Lapis. Plus Greg in hte mix just for fun. Honestly Guitar Dad would have been pretty cool merch. Sadly, since these were previewed at a Toy Fair last year, they may never actually see the light of day.